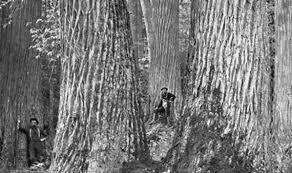 I recently read a story in magazine about efforts to bring back the American Chestnut tree, which was devastated around 1900 by chestnut blight. The blight dramatically re-arranged the makeup of our eastern forests, practically wiping out Chestnut populations that once accounted for up to 25% of some forest populations. However, the story’s outlook was hopeful as it explained the efforts and success of The American Chestnut Foundation (TACF) to develop a blight resistant American Chestnut. When you’re twelve, hope and optimism are still strong even inherent. Perhaps, simply not knowing enough about the statistical probability of certain events or just being an age where your accumulative experiences are still relatively small explains that large serving of hope that kids like me seemed to possess. Inevitably, as you grow older a large portion of that hope sadly fades away. Even though, I am an optimistic person, I certainly don’t have that same boundless hope and odds defying optimism from my childhood, but I smiled to revisit that hopeful kid. 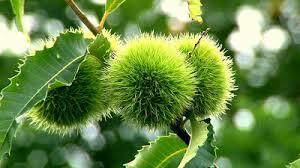 As an adult sitting in front of my computer I stole a moment and indulged in a day dream of walking beneath massive giant American Chestnut trees populating an eastern forest. If you’re wondering I never have seen that woodpecker yet, but I did see my first bald eagle towards the end of that vacation. 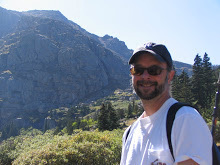 My Dad, ever the biologist, is in his eighties now, but he’s still quizzing me on the flora and fauna I see in the Rocky Mountains.